Michail (Mike) M. Dorizas was born in 1890 in Constantinople, Turkey, to Greek parents. When a student at Roberts College in Turkey, he engaged in such sports as the javelin throw, discus, and pole vaulting. At the Pan-Hellenic Games in 1907, Dorizas set a world record for the javelin throw. 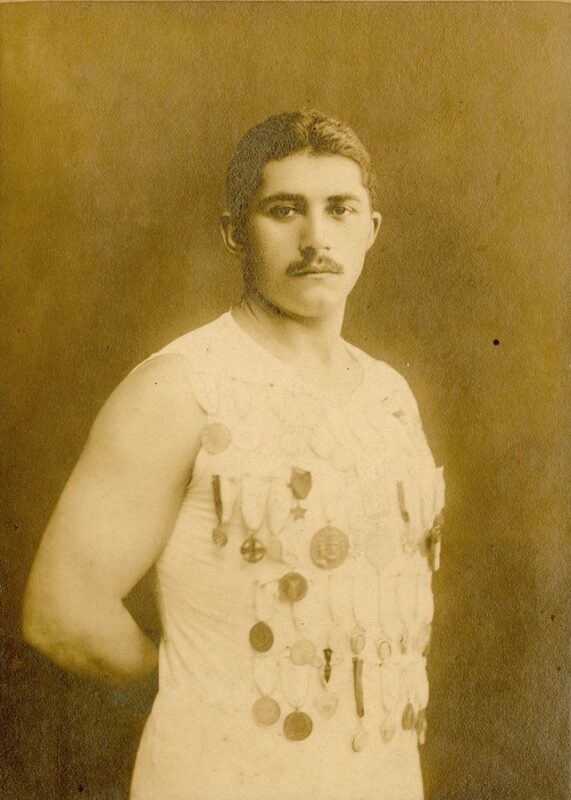 In 1908 he won a silver medal for the same event at the London Olympics as a member of the Greek Olympic team. After participating in the 1912 Stockholm Olympics, Dorizas decided that he wanted to do his post graduate work at the University of Pennsylvania, matriculating there in 1913. While at Penn, Dorizas took up wrestling and before long became one of the best heavyweights in the country. From 1914 to 1916, he won the Intercollegiate Championships three years in a row. For a long time Dorizas was known as possibly the strongest man ever to attend Penn and actually broke a strength-testing machine during a physical examination when he first enrolled to earn his master’s degree. He also played for two years on the varsity football team as a guard and participated in track and field. 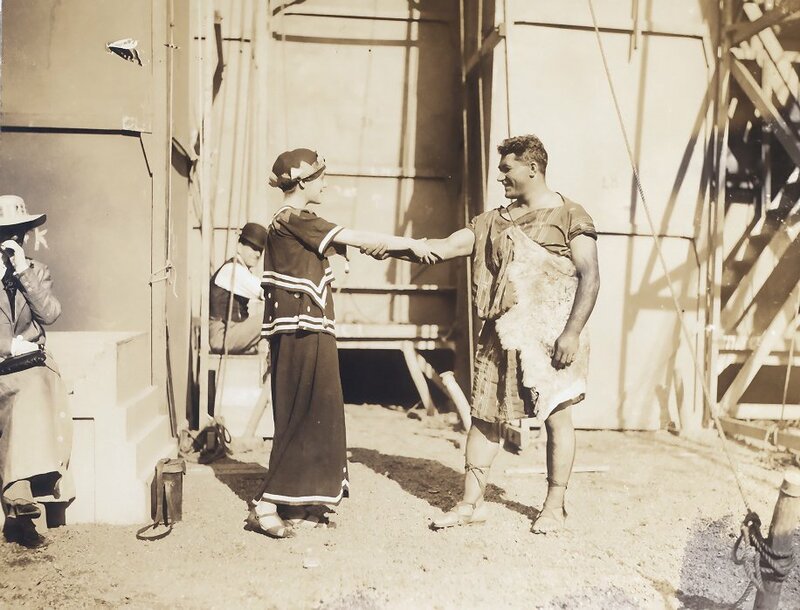 Off the athletic fields Dorizas had a role as a shepherd in the Greek play, Iphigenia in Tauris, presented in the University’s Botanical Gardens in June of 1915. After earning his master’s degree in philosophy in 1915, Dorizas began teaching at the University of Pennsylvania while working to earn his doctorate. He taught geography and used his knowledge from years prior when he served as a top sergeant with the U.S. army in France during the First World War. He later made three trips around world where his vast knowledge of foreign lands made him an extremely popular speaker throughout the United States for nearly thirty years. Dorizas used his knowledge of Turkish to become an interpreter at the Paris Peace Conference after the War ended and would similarly serve as a geographer with the postwar American Section of the International Commission on Mandates. As a professor, Dorizas was voted most popular several times amongst the students at Penn. His class was rumored to be the most popular at the Wharton School thanks in part to his likeability and to the pictures that adorned his classroom that were taken during his dozens of tours of Europe. Dorizas was also responsible for helping to develop the Gates Plan calling for compulsory athletic training for students during all four years of college. He remained on the Penn faculty for forty-four years, teaching right up until his death at his home on October 28th, 1957, at the age of sixty-seven.